Hope you had great holidays! I'm still taking a little break and hanging with my family, I'll be back to blogging, e-mailing, and more next week. 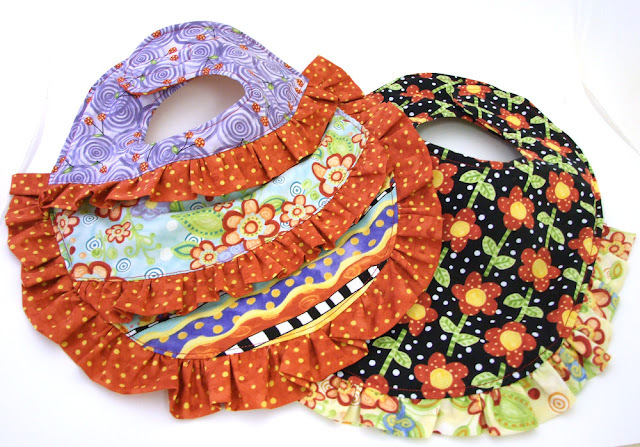 Until then, enjoy the ruffled bib pattern here on the blog. I've got loads of free projects on the the right hand side of the blog if you're looking for a new project. I have a limited amount of fabric that I came across from the old gallery. It has been listed in the Etsy shop.